Licensed Producers / MedReleaf Corp.
MedReleaf Corp. is a Health Canada Licensed Producer Ontario that is ISO 9001 certified. 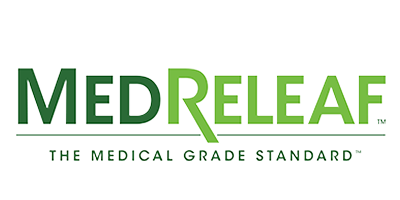 The ISO 9001 is an international standard for quality control and MedReleaf Corp. is the first, and only, medical marijuana producer in North America to be certification. Their mission is to improve quality of life for their patients and to advance understanding of cannabis through participation in a variety of research initiatives. MedReleaf Corp. has formed an alliance with one of the world leaders in medical cannabis treatment and research – Tikun Olam. As a result of this exclusive partnership, MedReleaf Corp. patients will have access to strains that are not available anywhere else in Canada. Wait your MedReleaf patient registration number. If you are a veteran, visit the MedReleaf Corp. website to learn about their Military Releaf Program and VAC Pre-Coverage before you order from an Ontario medical marijuana producer. Really liked Medreleaf 8 months ago when the strains had a higher potency. Now all the strains are slowly losing their potency. Also with the VA changes some of us are losing more than half of their prescribed dosage. And the strains that Medreleaf brought in that are cheap enough for VA to cover are also a lot lower in potency. So it's like a double lose. I feel it's more about money making rather than helping patients. super knowledgeable of their products. pricing is reasonable. Can I always have a nurse that you can call and they will help you out with what strain you need. I have sticker shock.The strains look like they would be good but the price Oy! Well, the weed is fine. I like the fact they let me know which of their product is irradiated. Highest class of costumer service. Products are always fresh. The quality of the medicine in Medreleaf is second to none. I'd recommend Medreleaf to anyone who wants uncompromised and consistent quality. I can't even begin to explain why to stay away from them… Except this ... as a business they are the worst drug dealer ever! Not that I would… But I'd almost rather be back in sketchy back alleys getting robbed then dealing with medreleaf. In my mind it's not very different. I am a veteran and I must say I have been with Medreleaf for over a year. Customer service is top knotch in fact I enjoy making the call not for the product either if you happen to call they are so nice and helpful you cant help but for a bond with their team at Medreleaf. Stock is generally more than adequate for any sitiuation specific strain. I would presume any veteran that complains about this LP has been spoiled for to long. Also any vetetan that complains specifically in a review I sure hope your not wearing that beautiful winter hat they sent you. This month's order has me very dissappointed. I ordered 3 oz of Alaska and it is so scraggly and full of stem. I estimate I've got between a half and a full oz of stem. Hardly medicine. I think us vets get treated differently. I will be leaving Medreleaf as soon as my script is up. I found the lad I spoke to on the phone was very disrespectful by not letting me speak. He kept over talking me each time I tried to voice my complaint. He wasn't hearing any of it. Very defensive instead of just listening. This is my second review I'd like to comment on the price. I guess it's no different than the street good stuff you pay the price. At least with medreleaf they have programs like The Compassion program. Very great company, customer service is A+++, packaging is amazing. I have been trying different strains and 3 are at the top of my list.Sedamin OilLumiarium DryEran Almag DryGreat work MedReleaf keep it up !!! I have been a client for almost a year and exemplary service and exceptional quality products are what come to mind. Worked at the Bradford location trimming buds with some loser named Curtis who'd creep me out complaining all day about not being able to find enough men to date in Barrie and all the things he wanted to do to them. People would sneeze and cough on the buds and strains were cross contaminated by lack of cleaning. The trim jobs were rushed and the strains were are all bush weed. I was disgusted I had to leave. Would never dream of selling that garbage to my patients. This is the best LP hands down! The products are great. But the ordering online , the website is slow .. I've been having nothing but issues with this producer since October 17 2018. I am a medical patient and I have not been able to order in 2 months due to their lack of product. I tried contacting medreleaf by phone only to be told no answers as to when the product will be available. They also didn't seem to care about my complaints. They screwed up my information sent by my doctor. They also lost my information 3 times in which my doctor had to keep refaxing the information to them. This place has really gone down hill. I can't even order to get my updated medical information card. Just bad business all around.